Large events, sports presentations, school carnivals, family fun days, corporate events. Are you ready to take your event to the next level?! 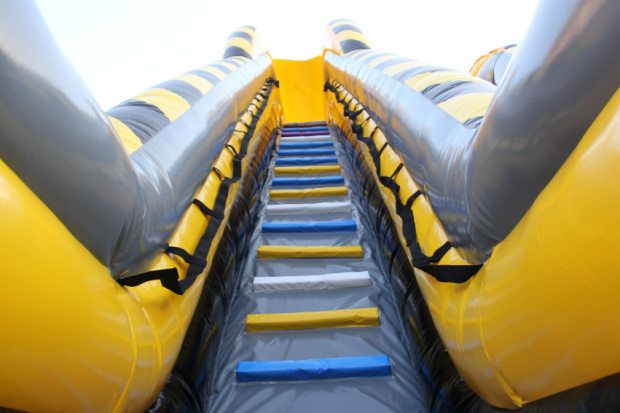 Introducing our Stunt Jump hire Sydney package: The Stunt Jump is one of the only rides in Australia that gives participants that free falling experience like no other, before plunging onto our custom designed landing bag. It is especially designed to absorb impact from height well beyond the tallest platform of 6m. So, go ahead and get the adrenaline pumping and take the leap of faith- feel like a real life stuntman. Perhaps 6m is too high? No worries, we offer a second, slightly smaller platform which stands at 3m to ease users in before attempting the 6m leap. 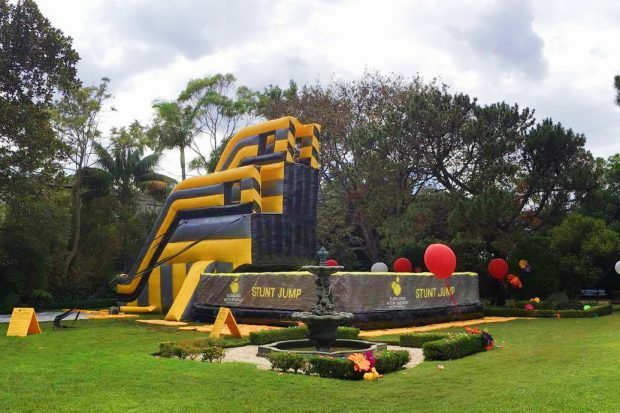 The Stunt Jump will bring a unique form of fun to your event making it the perfect solution for your sports presentation, corporate event or team building day. Plus, large events can see a turnover of 200 participants per hour through this ride therefore eliminating a long queue time. Call us to discuss more ideas for team-building, using more of our products together in a combined setting. 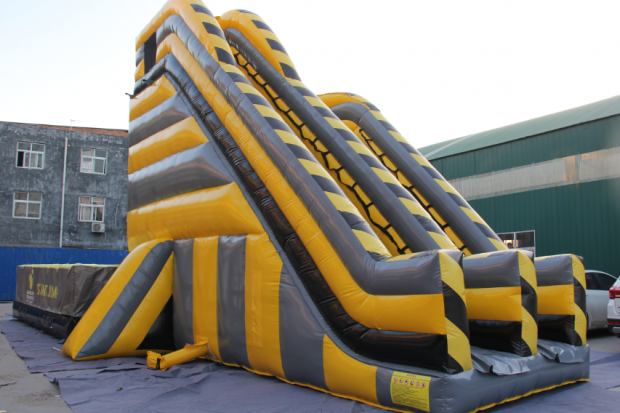 Alternatively, take a look at our obstacle course product range which is also great for team building events. 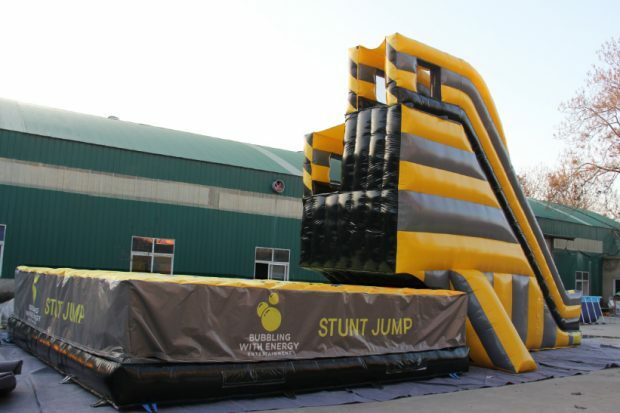 Bubbling With Energy Entertainment had this inflatable Stunt Jump custom made with bright yellow, black and grey colours to be apart of our new and exciting Toxic Shock range. Interchangeable covers for corporate branding and signage can be provided. 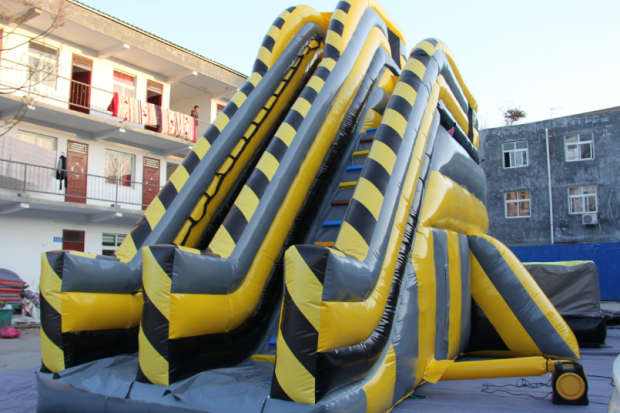 This inflatable will entertain user of all ages and make your event an adrenaline filled day. This inflatable is completely safe and our trained staff will instruct each participant how to land correctly. 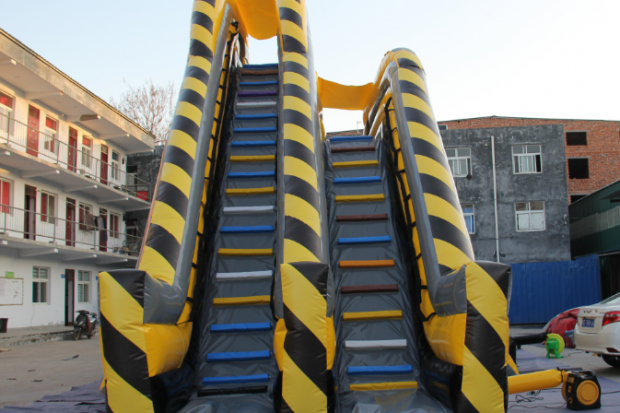 Our Stunt Jump is registered with safework so you have peace of mind that we comply with all government requirements and it is inspected yearly by an engineer. Lastly, for adult hires, Bubbling With Energy Entertainment will provide ‘Ride at your own risk’ wristbands free of charge. Standard power supply. Although most hires will hire generators.